It is not often that a company is recognized as among the best, and when that happens, it becomes a grand occasion to be celebrated. We are proud to share the news that we have been recognized as one of the top B2B software developers in India. The ranking is a result of the efforts of Clutch.co, a B2B ratings and reviews platform that uses data-driven research and client interviews to gauge the quality of services being offered by software development firms. After evaluating over a 1,000 software developers in India, Clutch ranked us second among a shortlist of 250. 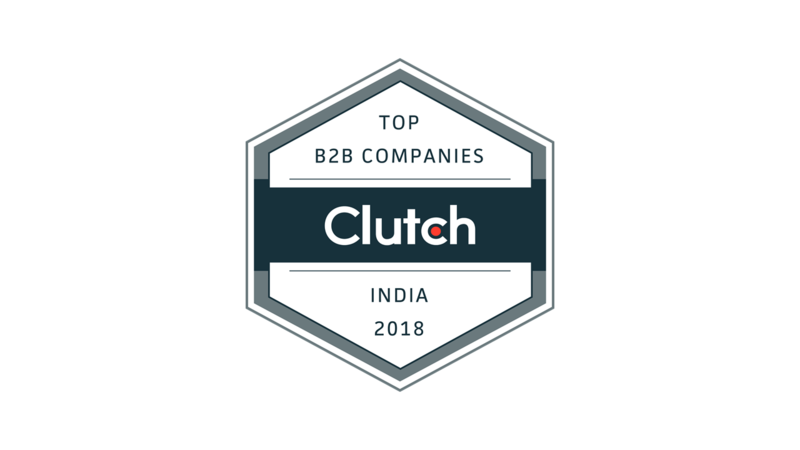 Clutch also recognized us for our excellence among the various software developers in India, awarding us, once again, second overall among hundreds of developers. In addition to this recognition by Clutch, we were also featured by The Manifest, a research group that helps companies identify business challenges and provide them with the knowledge and insights needed to solve such roadblocks. Their evaluation has ranked Experion among the top Mobile App Development companies in the world. The research by Manifest highlighted the consistent excellence of work done by Experion in this area, as well as a noteworthy project that was completed recently for a client. Experion had been earlier ranked among the 50 fastest growing technology providers in India and the fastest 500 in the APAC region by Deloitte (2016 & 17). In 2018, we were ranked among the top 25 Retail IT vendors in APAC by the APAC CIO Outlook magazine. However, as much as we value industry recognition from respected analysts and similar bodies, we feel much more fulfilled by positive feedback from happy clients. A particularly delighted client had recorded that, “Experion seems to truly care about my success and they are doing a good job too”. Success of our clients is a top priority for Experion, and our clients acknowledge this attitude of ours with their trust. Experion is focused on providing the best digital solutions to enterprises, startups and ISVs facing a wide range of business challenges. At a time when quality alone matters for both enterprise software including mobile applications, we are proud of our capability to help businesses connect better with their customers. A big thank you to our clients; nothing great is accomplished alone, and we feel we could not have done this without you.